168 pages | 3 B/W Illus. 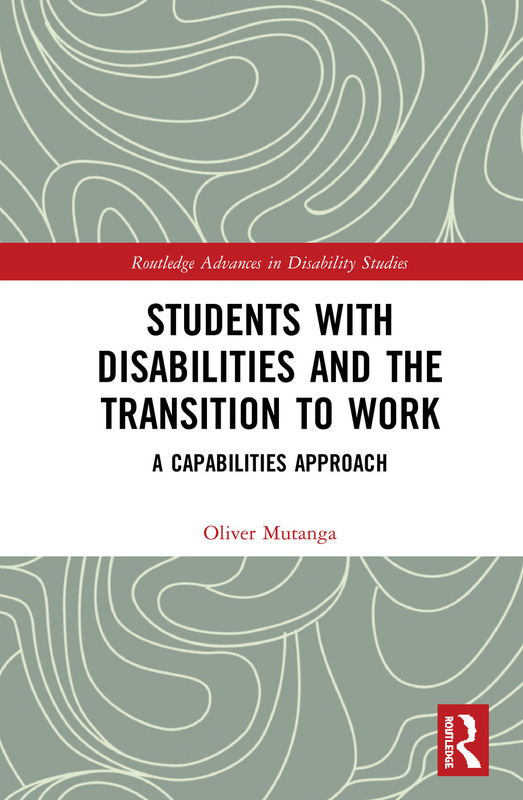 This book sets out to understand how students with disabilities experience higher education and the transition to the workplace. It foregrounds the voices of students and graduates in order to explore identity, inclusion, participation and success of youth with disabilities in higher education, as well as their transition from university to employment. The author proposes a new understanding of disability, considered in terms of a continuum of abilities, balancing empirical data, theory and policy analysis with specific regard to the interests of youth with disabilities, making a unique contribution to discussions on access, inclusion and success in higher education and employment. These discussions inform social development and educational policy planning and implementation, not only in South Africa, but also in countries with a similar context, particularly in terms of remedial courses of action that bring social justice to people with disabilities. Students with Disabilities and the Transition to Work will be of interest to all scholars and students working in the fields of disability studies, particularly those with a focus on critical disability studies and disability in the global south, as well as those working in sociology, development studies and social policy. Oliver Mutanga is a Research Fellow at University College London. He is also a Fellow at the University of South Africa and an Expert Evaluator for the European Commission. His research interests are Disability and Health. He was awarded a scholarship at the University of the Free State in South Africa to pursue doctoral studies (2013-2016). In 2015, he was awarded a CICOPS Fellowship by the University of Pavia, Italy. In 2017, he was awarded a Marie Sklodowska Curie Postdoctoral Fellowship at the University of Oslo, Norway. Prior to his PhD research, he worked as a Researcher in Zimbabwe, Botswana and South Africa.